One Greek basketball commentator accused former NBA coach and current Olympiakos coach David Blatt of lying because “he has Jewish blood” last week. 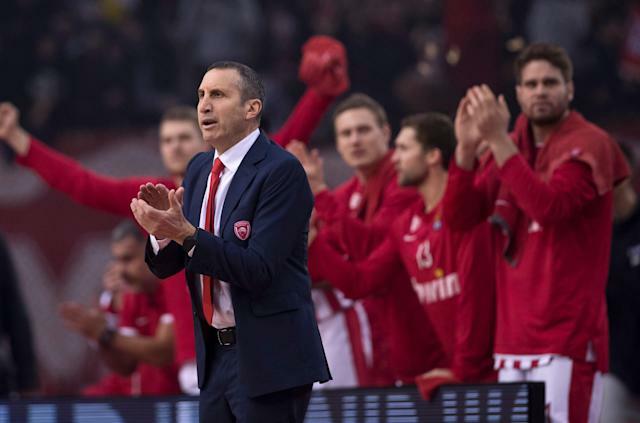 Blatt and Olympiakos walked out at halftime of their Greek Cup semifinal matchup against rival Panathinaikos in February, blaming poor officiating. Panathinaikos is led by longtime NBA coach and former Louisville coach Rick Pitino. Last week, more than one month after that game, Panathinaikos commentator Vangelis Alexandris accused Blatt — who was born in Massachusetts but has dual citizenship with Israel, and has held numerous professional coaching jobs in that country — of lying about the circumstances of that game. “If you consider that he has Jewish blood, I believe he was lying,” Alexandris said in a story from a Greek sports website, according to the Associated Press. Blatt coached LeBron James and the Cleveland Cavaliers from 2014-16 and helped lead them to the NBA Finals in 2015, where they fell to the Golden State Warriors. He took over at Olympiakos in the Greek League last June. Olympiakos was assessed a six-point league penalty on Friday for forfeiting the game against Panathinaikos.